:: It was great having Mum stay with us over those months. As Mum improved we had mum/daughter days out and went clothes shopping (bought Mum a whole new Summer wardrobe! ), went out for meals and coffees, went to the movies and saw “Mary Poppins Returns”, as well as making plans for her future. :: In an effort to build Mum up, and because lettuce-tomato-cucumber type salad can get boring, I experimented using this freebie magazine as a guide and we’ve enjoyed some super salads. It’s been so easy to make them once I’d shopped properly and was prepared – think that’s the key! Adding combinations of fruits, different cheeses, “exotic” things like prosciutto and olives and changing up dressings make all the difference to the word – and taste of – “salad”. :: My imagined days of lounging on the couch under the air conditioner reading novels, or spending the cooler days sitting on the deck under the shade of the Claret Ash stitching were not to be. It’s been SO HOT! Days of brilliant blue skies and scorching sunshine. Even with the air con on, some days have just been overwhelming, and once we were back home from appointments there was just no energy left for sewing. I find Summer enervating at the best of times but this year I’ve found particularly bad. I did do a bit of bingeing on “The Good Wife” viewing the first 2 seasons…..again. Love that show! 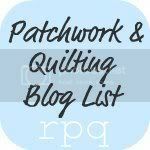 :: With all our family happenings there hasn’t been much time for social sewing, in fact I think I’ve been to just 2 gatherings and not much sewing was done! There was however the obligatory food which I know you love to see. :: At the beginning of the year I was feeling at a bit of a loss not being able to concentrate on much and as the weather was cooler then I decided sock making would be the go. As you do in the middle of Summer! In about a week, I added these to the sock drawer. I do love sock knitting! :: We’ve had a couple of trips back north to Mum’s unit to pick up bits and pieces for her and have seen some spectacular sunsets – all heralds for very hot days up there! Then last weekend The Golfer and I called in to the Rivers Outlet store in Bendigo on the way home and I bought these gorgeous gumboots which will be perfect for Winter gardening! :: In November, Helen, Karen, Maree and I decided we’d like to join in with Lucy’s CAL which was to start in January so we ordered the yarn from the UK, which turned out to be surprisingly economical and inside, all tucked up in its own see through bag were the yarns and so we began I’ve finished parts 1 and 2, but have stalled at part 3. Helen is totally up to date, Karen was a late starter and I’m not sure where Maree is up to. It’s been a fun, easy CAL and I’m loving how the colours are coming together. Lucy certainly has the knack! That’s enough from me for today. How was your Summer/Winter this January? I hear there are some freezing weather conditions in the USA and there have been dabbles of snow in the UK, with more in Europe. Here in Australia it seems so very strange when one end of our country is having fires, the other is having floods and in the middle there is drought. Please take care, wherever you are. I’ll be back soon. This entry was posted in Uncategorized and tagged boots, classes, dressmaking, food, hand knitted socks, hexies, salads, summer. Bookmark the permalink. Great to hear from you. Pleased your Mum is on the up and up and now good to have her nearby. It really has been too hot to do much, even with . Must get my “sewjo” back. Ms M, it’s always lovely to read your chatty blogs. Reading them is almost like you’re “just there”, with a cup of coffee and all the goss. You certainly did have an unexpectedly busy Christmas and New Year Maybe things will now settle down a bit for you, and you Mother. Hope so. And BTW, love your socks. Wish I could make them like that (or at all). They’re gorgeous. Hope to catch you one Wednesday morning soon. Lovely you now have your Mum near you, yes the heat has been uncomfortable bring on Autumn I say. My holiday has been taken up with grandchildren and babysitting as my son had a massive heart attack two weeks ago. He is now home recuperating and kids at school. Looking forward to getting back to class. Nice to get caught up today. Glad your Mum has settled in and you too. Perfect plans can be veer off sometimes, but you still had a fabulous January. Great post and so nice to have your Mother so close! I love your blouses! So pretty – I just cannot stand to sew garments anymore – too many years where I had no choice! 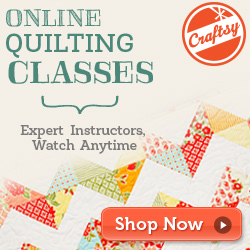 Enjoyed hearing from you and miss the other posts showing off the other quilter’s work! Stay cool! Good to catch up on your news! Good to have you back – you’ve certainly been busy, and while I know you will have been worried, having your Mum close enough to go out for a coffee with will be a definite plus!